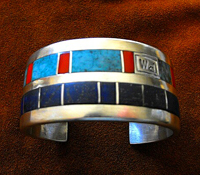 The use of bracelets for adornment dates back some 7000 years to ancient Egypt and Africa. Initially made of wood, plant fibers, stones and bones, then later out of copper and bronze as the art of metal making was discovered. The word bracelet is derived from the Greek Bracel (from the latin word brachium meaning arm), a part of the armament of Greek soldiers that was made of heavy leather embellished with gold and silver, and worn on both arms. The women found them attractive and began wearing a smaller version known as bracel-ets, meaning small bracels. It was during the age of the Egyptian Pharaohs that charm bracelets first appeared, although charms themselves dated back as far as the Neolithic era, when men would gather unusual bits of wood or pieces of stone which would be carried about their person in order to ward off their enemies. So these charms were thereby considered ‘lucky charms’ and powerful protectors against evil. 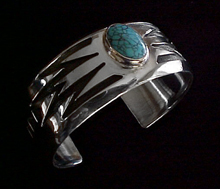 Today, bracelets come in many styles and are made with a large variety of materials. 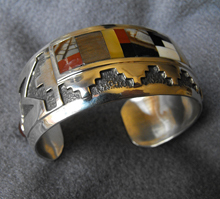 Some of the most beautiful Native American bracelets are made by the Navajo. 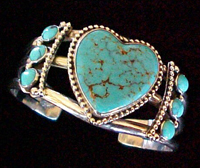 Dennison's bracelet designs are among the finest available. Expertly crafted from heavy silver, and often embellished with various stones, his creations vary from traditional to contemporary.